Alright, so we are about halfway done with 2012 (time has gone by fast! ), so I figured it would be a good time to present you with the the top 10 posts, thus far. These are the most popular entries, the ones you have read the most. So enjoy them again, or if this your first time reading them, then enjoy! 10 - Cubanisms # 2. 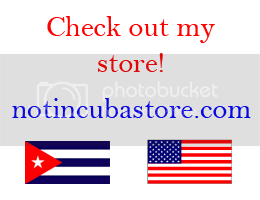 The second installment of Cubanisms have favorite Cuban sayings, such as: "Pa' Su Escopeta! which literally means "To His Rifle!" 9 - The Jim Halpert. How I can relate to Jim Halpert from The Office. 8 - The Smartest Baby in the World. Ellie Marie may eventually one day be CEO of Facebook, or better yet, her own company. 6 - We Are Not All Mexican. Just because I speak Spanish, it doesn't mean I'm from Mexico. 3 - Thanksgiving & San Givi. A Cuban Thanksgiving usually involves rice, beans and a whole lot of dancing. 2 - Cubanisms # 1. The one that started it all. Still a very popular post! 1 -Shunga vs Chonga. Still the most popular post and one of the funniest ones! Posted in best of, israel sanchez, not in cuba anymore, top blog posts . Bookmark the permalink. RSS feed for this post.